Every once in a while you might hear a news report about the dangers of radon gas or hear about a terrible tragedy caused by radon gas. If you don’t know anything more than that about radon gas, then please keep reading. One of the scariest facts about radon gas deals with its ability to amass in substantial concentrations in a person’s home without them ever seeing, smelling or tasting it in their air or water supply. radon has the ability to build up to toxic levels without anyone in the home knowing — unless they perform periodic testing. What harm does radon cause? In a word, CANCER. Persons exposed to radon have a signifigantly higher risk of developing lung cancer than those not exposed to radon. Radon, like other dangerous and potentially toxic substances like arsenic, occurs naturally in the Earth’s crust. You can potentially find radon anywhere, but yet it has few definable geological indicators which make it more prevalent in one place than in others. Two main classes of radon detection kits exist: Short Term and Long Term. Short term radon test kits measure radon levels over a shorter period of time and provide a more immediate assessment of radon risk while long term radon test kits build a profile of a dwelling’s exposure to radon over time. 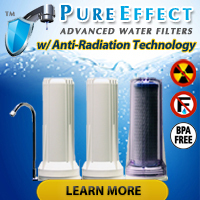 Which radon test kit will work best for my needs? The short term radon test will let you know your current radon exposure level and will work great for anyone moving into a new home, new apartment, etc. Experts then recommend long term radon testing take place after an initial short term test so that residents may learn when radon tends to enter their building, if in fact it does. Do I have to test for radon ever again? Unless you have no fear of lung cancer, of course you should test for radon on a regular basis. You should also test for radon if you have work done to your home, build an addition, or plan on having someone occupy a floor lower than where previous radon testing took place. 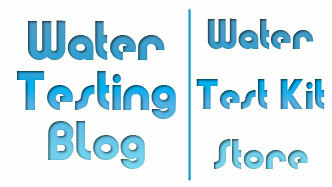 Why would I test for radon in water? While a large percentage of radon enters homes in an airborne fashion, it can also enter a home through its water supply especially if the home uses a well. Radon has the ability to enter groundwater as easily as arsenic… and health officials advise periodic water testing for BOTH of those parameters.